This will be primarily OOB, as I am going to be using it as a template to finish a Bandai 1/30 kit for a friend. The Bandai is very toy-like, so I plan to make copies of whatever I see missing. If I change anything, it most likely will be the tracks, which aren't very magical. 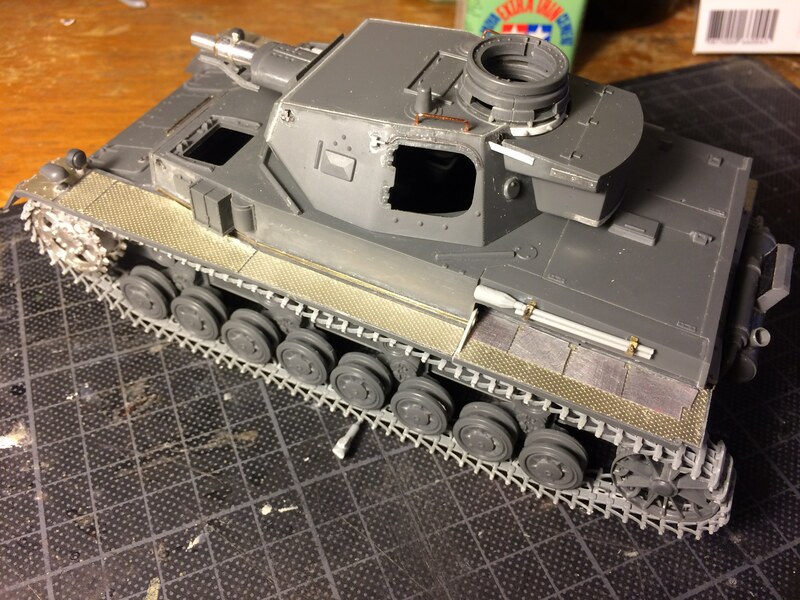 I just finished a Dicker Max, so I'm in the Pz. IV frame of mind. 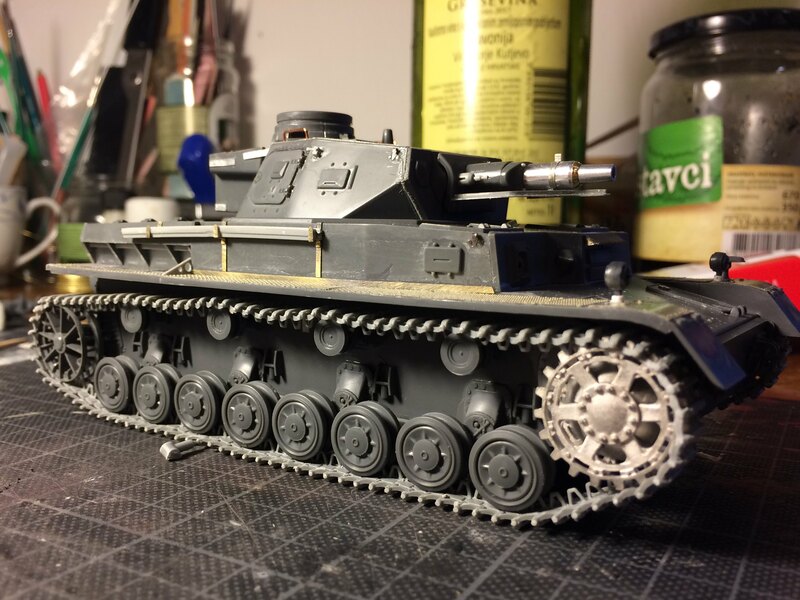 Here is my completed Pz III Ausf L.
The same photos are in the campaign gallery. A Lot of great models on going in this campaign. Thanks for a great campaign. Not sure you posted these in the correct campaign. 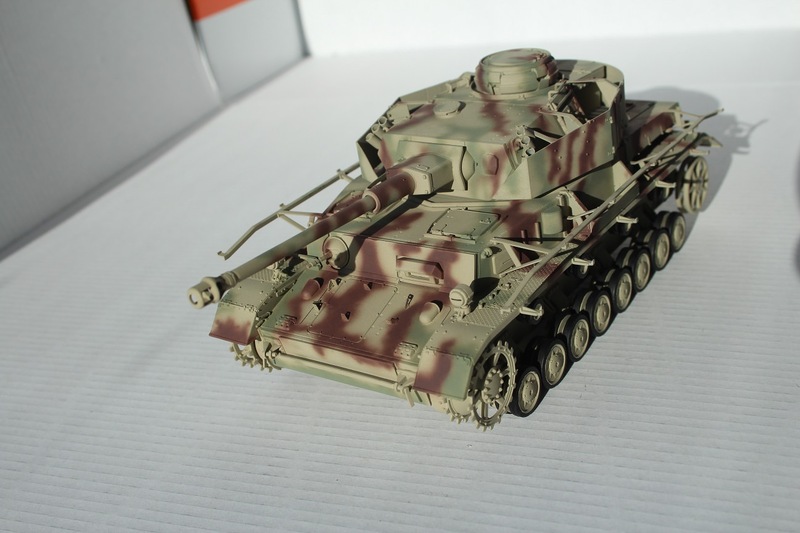 This one is about Panzer IVs, M4s, and T-34s. It's also the first post I see from you here. Should this be somewhere else? 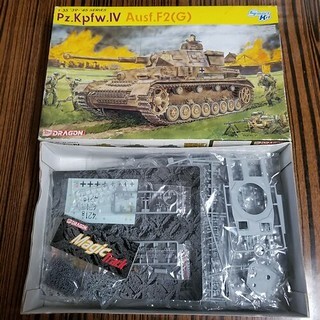 You are correct, the pz III belongs somewhere else. 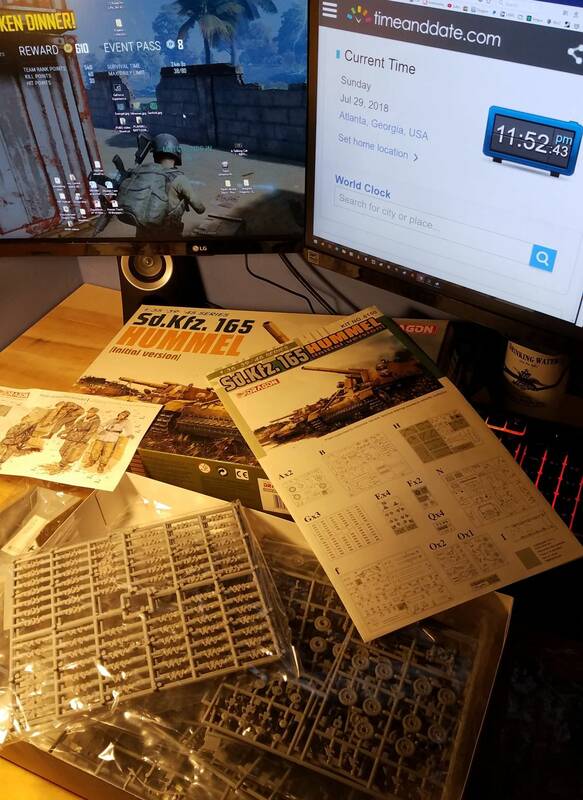 Do I still have time to enter a 1/48 scale T-34? A month left, you can do it! 99% done, just waiting on replacement fuel tank mounts. 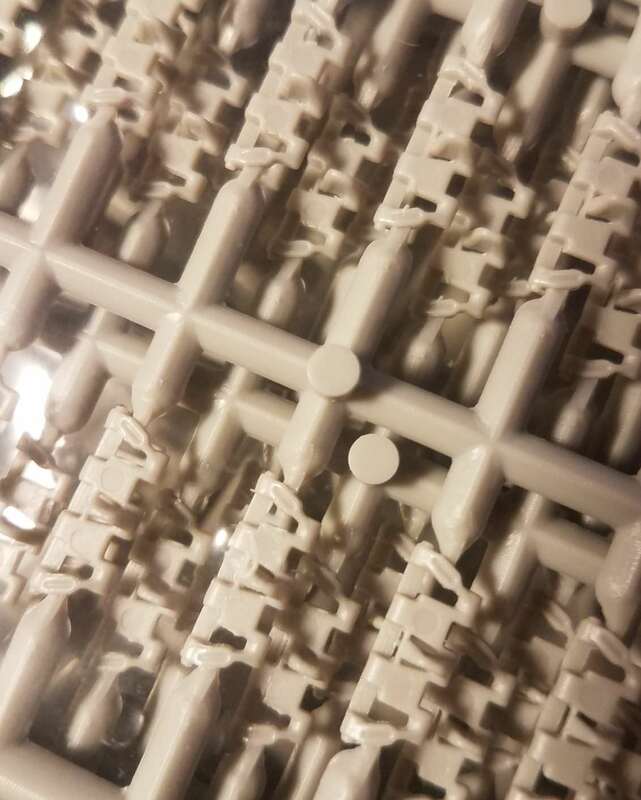 Shapeways tells me they ship on the 3rd. At the rate I paint I can still go for the unfinished business campaign, but I hope to at least get a basic coat of paint on. Very nice work Matthew. 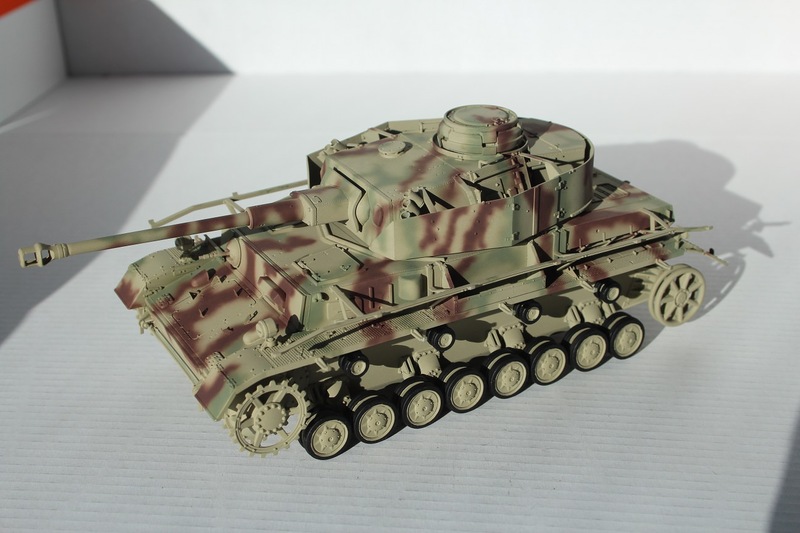 Really did a nice job bringing that Panzer IV ausf D up to today's standards regarding details. 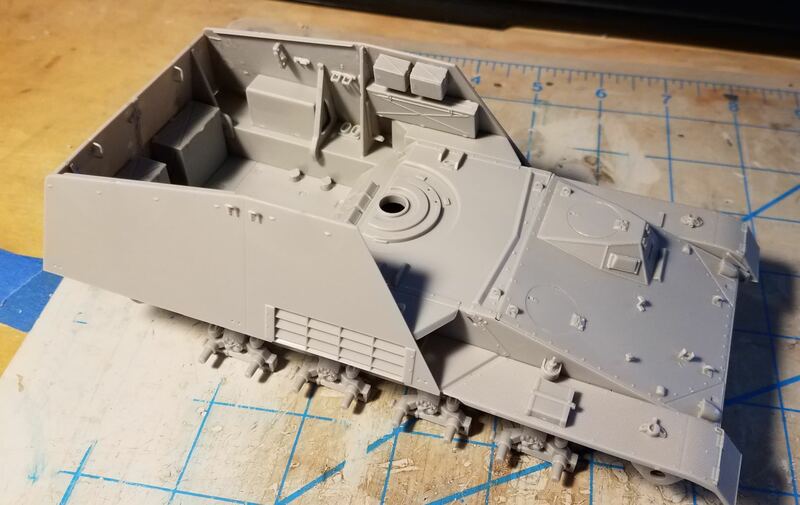 A few more pics of my Workhorse Campaign entry before painting. Next stop; the paint shop. 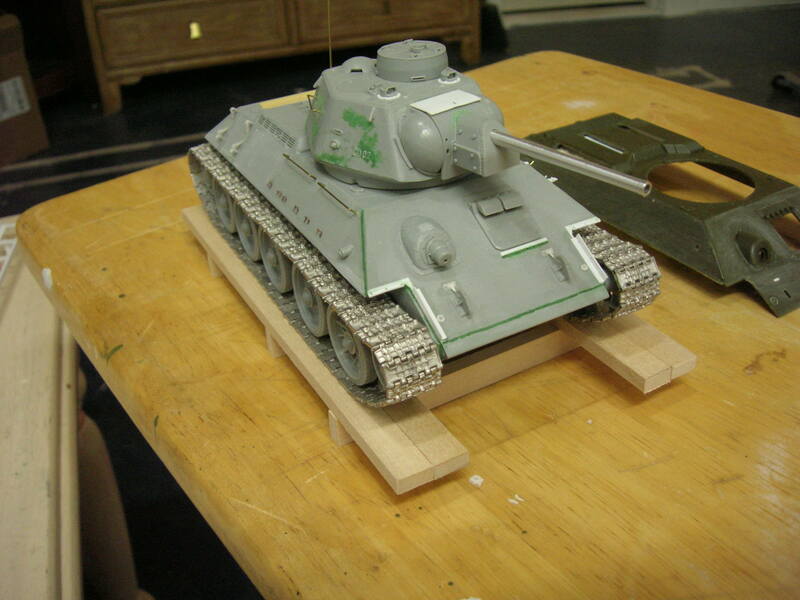 Nice work on that T-34. Looking forward to seeing this one at completion. 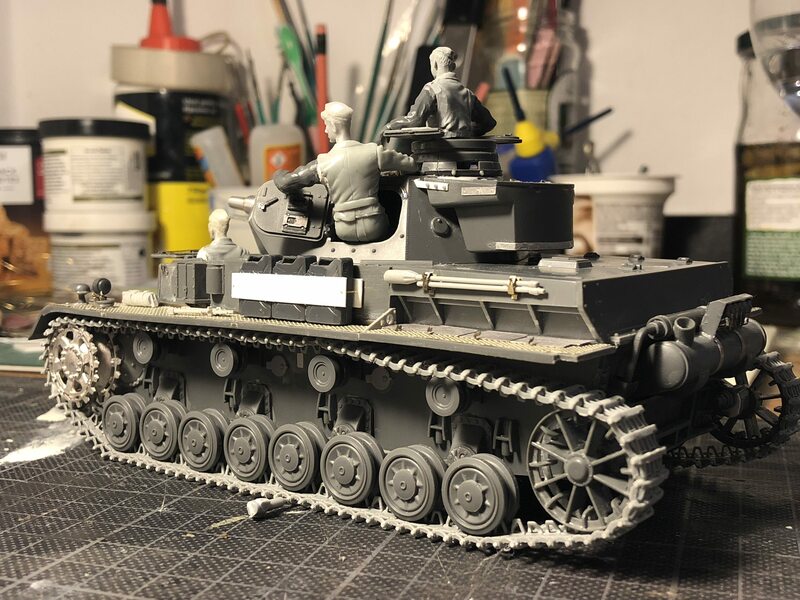 Chuck, Nice looking panzer iv F2! 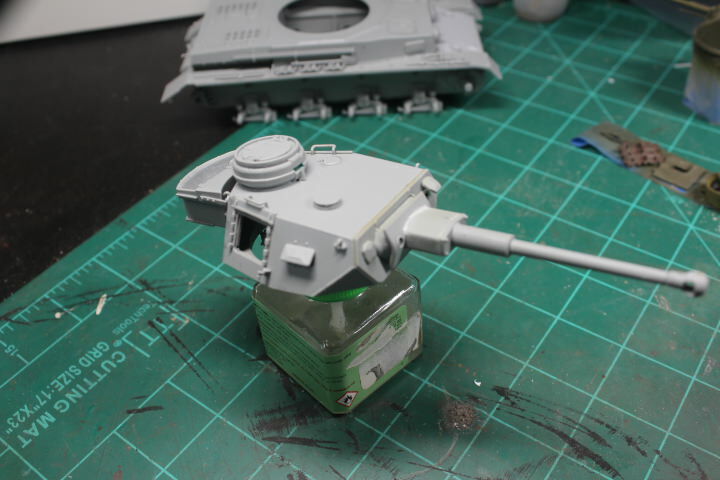 I like the way you've posed the vision ports open on the turret - very nice. Makes it looked lived in. 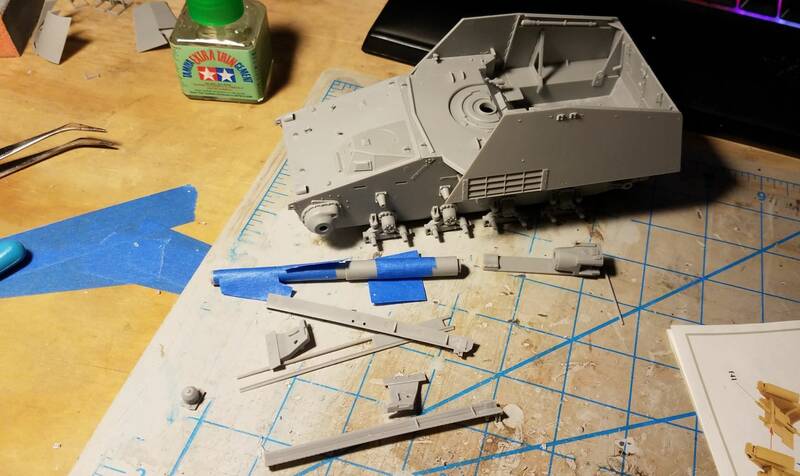 I look forward to seeing the paint job! Thanks very much Matthew. Each build I try to do something a bit different from the previous build. Small steps. I'm hustling to get this done before the deadline at the end of this month. 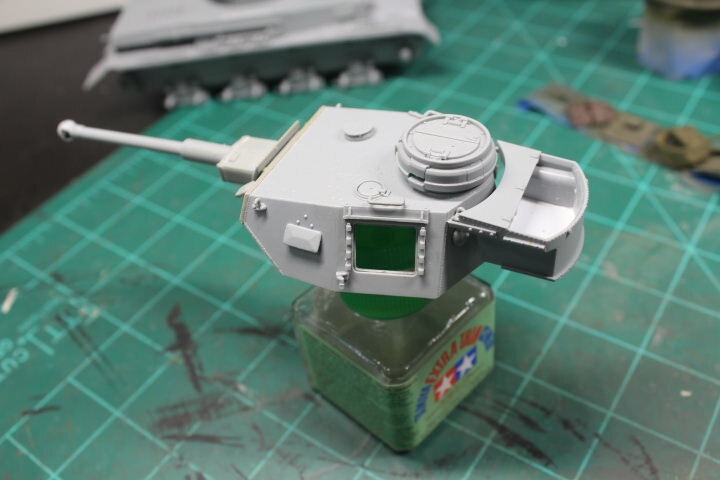 I'm hoping to pose the turret stowage bin open and stuffed with hay along with a chicken or two, similar to the one color plate from the old Squadron Panzer IV series...Looking forward to seeing your build completed. Base coat and cammo on. 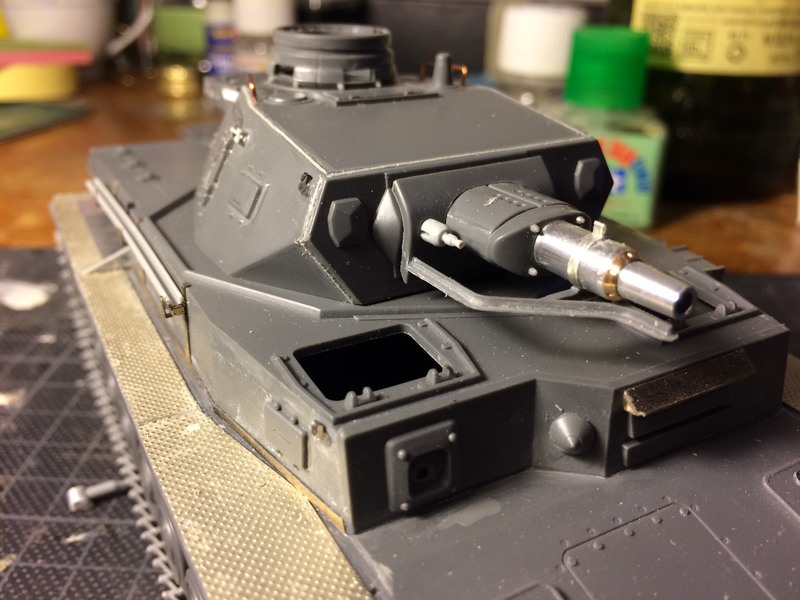 Painting OVM tool and small details now, getting ready for decals. I have painted the schurzen as well, but im not sure if i will use them. 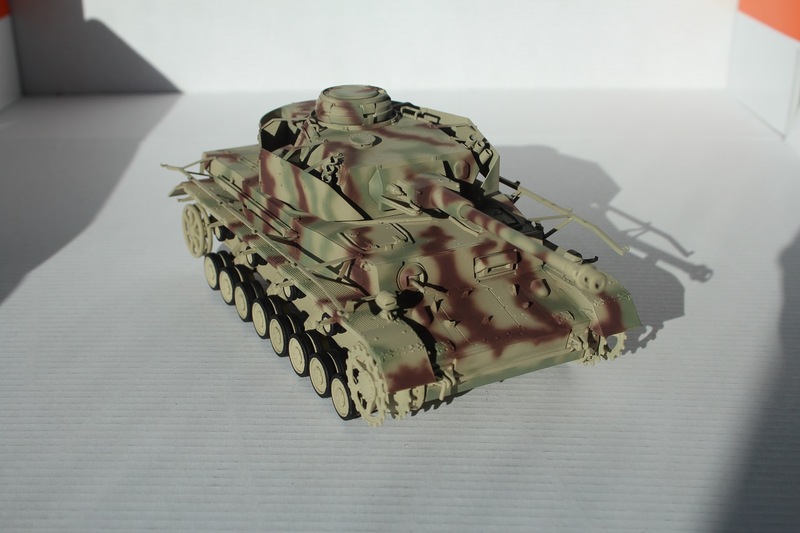 Very nice cammo work. Really looks sweet. 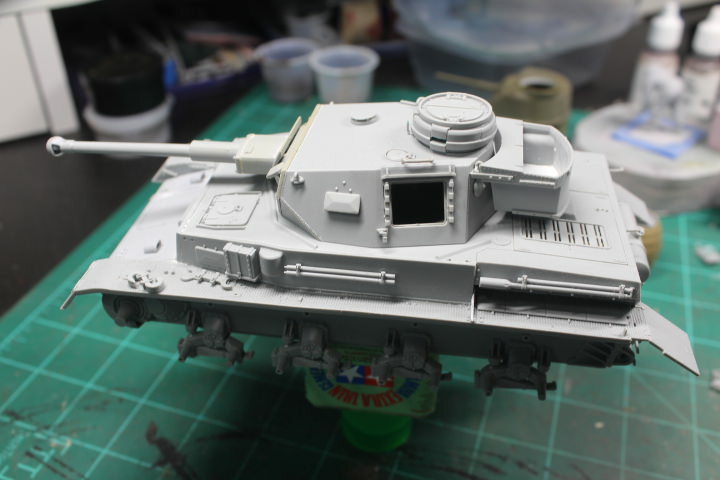 Here is the 1st in process photo of the T-34 workhorse. Good to see so many of you racing for the finish on those old workhorses. About three weeks to go! 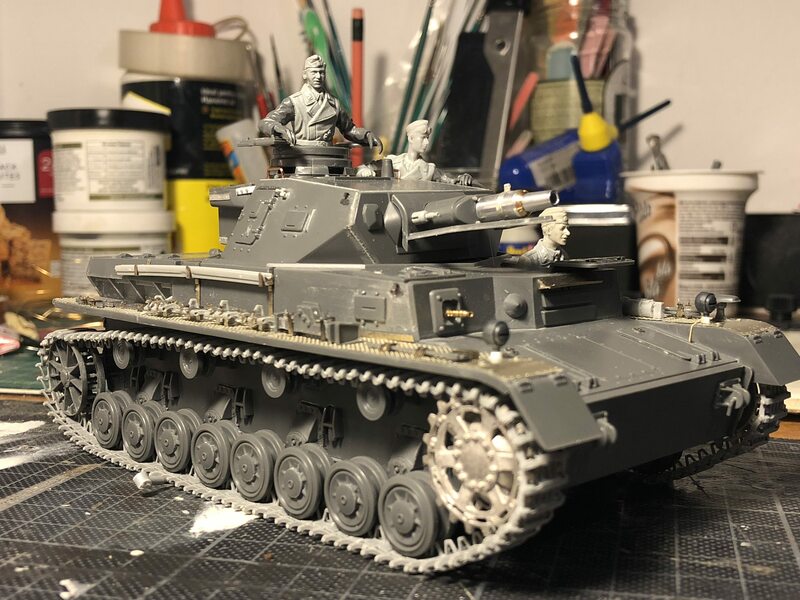 Should be finished building and ready for paint this weekend. Some really nice looking models here. 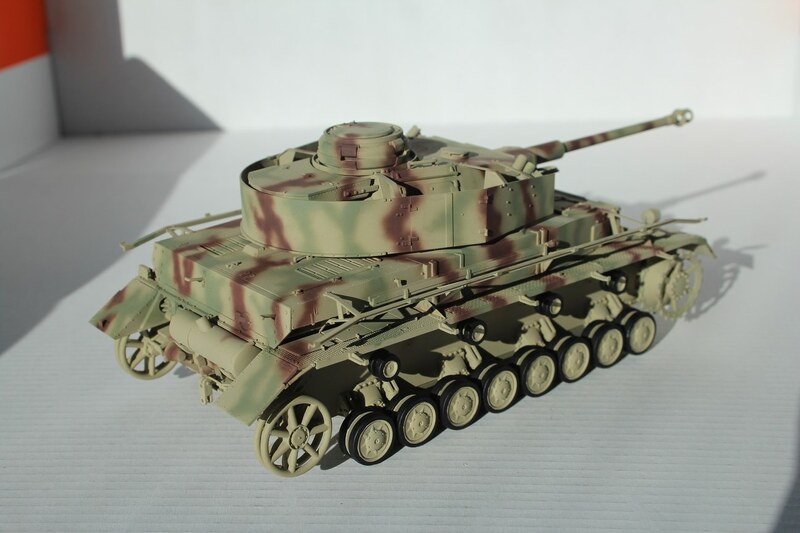 I am still hopeful I can get paint on my T-34, but nature has been against me this month. It's my fault for procrastinating. The hot days of summer have kept me out of my painting and casting room. That area of my house is not cooled and I can't take the heat. Those days were mixed with rain storms that sent the humidity way up. I decided to rebuild the paint booth in another room where I can add a window air conditioner, and a vent fan, but it turned out to be a never ending project! The new room was a junk storage room and to move all the junk from the room I had to build a new storage area and that involved... You get the idea! It might be a blessing because it got me to start throwing out some junk I don't really need. Anyhow I think I might have the disasters under control in a week to ten days, and then slap some paint on the model just to get it "done". Here are my completed Photos for the campaign. You can do it everyone, two weeks left! Under the rules for this contest is states no what-ifs. 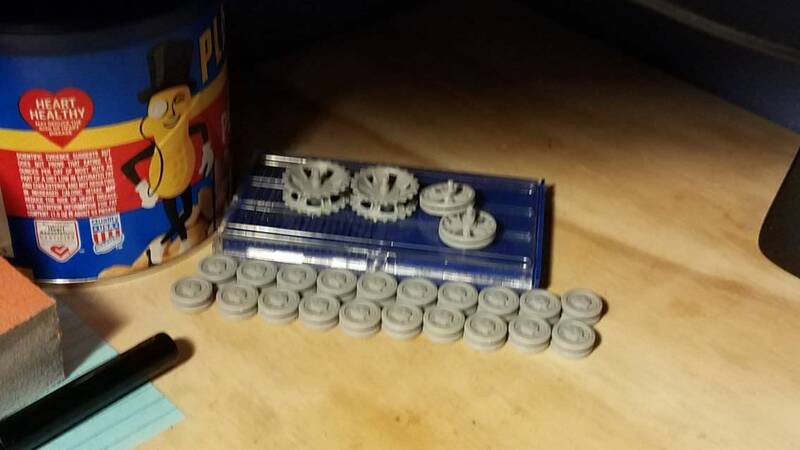 Can I make sure this means no German captured schemes before I commit to building one. 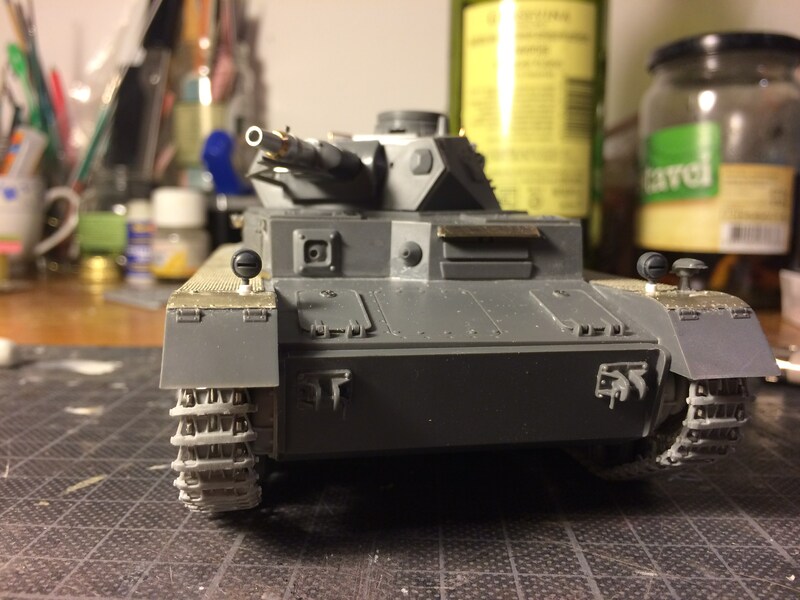 I have a world of tanks sherman that comes with zero decals in reality.